Librarie: Carte straina: Children's, Teenage & Educational Louie in a Spin! 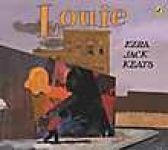 Librarie: Carte straina: Children's, Teenage & Educational Louie Takes the Stage! Librarie: Carte straina: Children's, Teenage & Educational Louie Lets Loose!